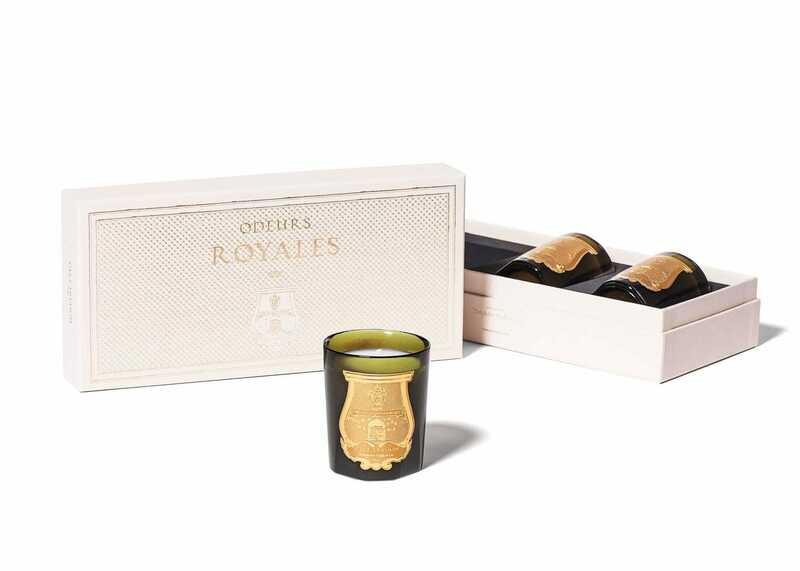 Recalling "the magnificence of the Grand Siècle" this set of 3 candles from Cire Trudon is prefect for creating a memorable ambience. Trianon' is a floral fragrance inspired by Marie-Antoinette, 'La Marquise' blends Lemon and White Flowers conjuring up "the sharpness of Madame de Pomadour's conversations," while 'Solis Rex' evokes the parquet floors and candelabras of the Chateau de Versailles. Presented in hand blown glass vessels this set makes the perfect gift. Gift set with 3 scents. Trianon' is a floral fragrance inspired by Marie-Antoinette. La Marquise' blends Lemon and White Flowers conjuring up "the sharpness of Madame de Pomadour's conversations. Solis Rex' evokes the parquet floors and candelabras of the Chateau de Versailles. Set of 3 scented candles.